Happy Halloween! 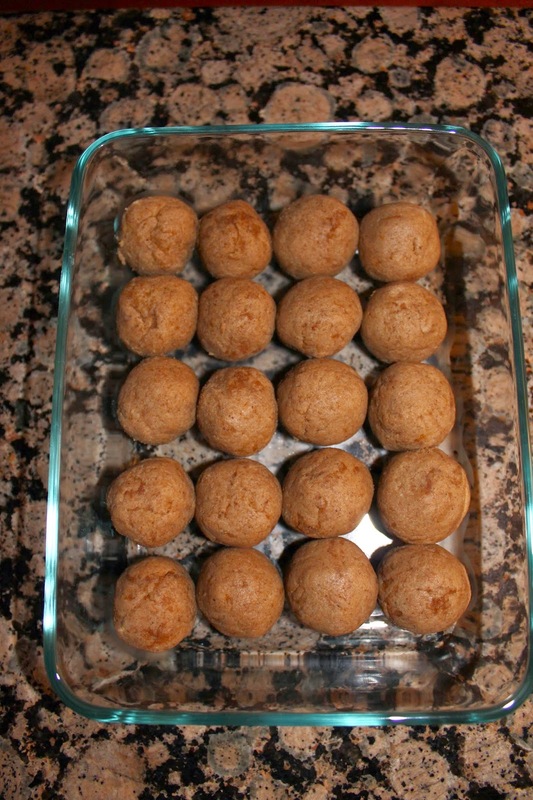 I made these Pumpkin Cream Cheese Cake Balls for school, and they were delicious! They are the perfect fall treat. I also have been getting some questions about how to make cake pops/cake balls, so I thought I would share a step by step guide :) I actually did not have the melting chocolate I always use on hand, so I used bars of Lindor white chocolate instead. It wasn't the ideal consistency, but it got the job done. First you bake a pumpkin cake or spice cake just as you would making a regular 13x9 cake. You can make this from scratch or use a box mix if you are short on time (I used a spice cake recipe and added some pumpkin pie spices). Once the cake is cooled, crumble it into tiny pieces in a bowl. Remove any hard edges or discolored cake, if there is any. Mix in about 1/2 cup to 3/4 cup of the frosting of your choice. For these I used cream cheese frosting. Once again you can make it from scratch or use a can of frosting. Mix thoroughly then roll into balls (about 1"). Put the cake balls into the refridgerator for about an hour. Then melt the chocolate on the stove using a double boiler or in the microwave at 50% power. Dip the cake balls into the chocolate and decorate as desired. You can also add a stick if you want. I chose some fall sprinkles and added a few spiders for a Halloween theme. These look so yummy! I really wish I could have tasted some :) I guess I will have to make some! These photos are GORGEOUS!